Learn the techniques of traditional classical Flamenco dance. The students will learn a fun festive dance from Spain. They will learn different Flamenco songs, learn to count time signatures, do palmas (hand clapping) and flamenco dance techniques. 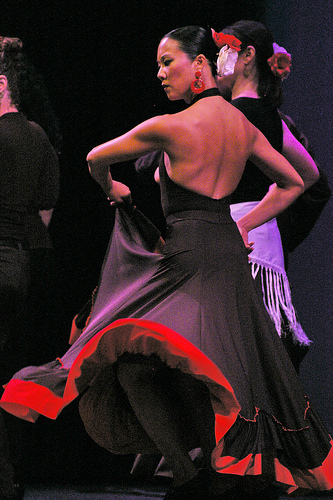 Basic techniques include braceo (arm movements), floreo (finger movements) and zapateado (footwork). The students will have the opportunity to learn a choreographic dance to enhance their co-ordination and performance style.